There are probably quite a few of you out there in need of essay writing tips, so I thought I would put here some advice for you. I hope these little articles help you in writing a fluent, compact and informative essay. The idea is not to write a novel, but a paper that concentrated on the subject of the headline and delivers the informational message without bells and whistles. These writing tips were much needed when I wrote my first essay in years - I had started studying Egyptology as an adult and it was time to make my first academic paper in many years. As I had been writing creative texts for years, what I thought would be a breeze surely wasn't. I was really lost first on how to write an essay. How to define the purpose of the essay and evaluate the potential topics. Here's information on how you can efficiently brainstorm your essay. How to find background information as well as specialized sources and evaluate the gathered information. Should you write lengthy paragraphs or brief sentences? How to capture the reader's interest and provide the general idea of the essay's focus. 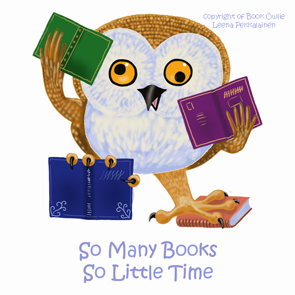 If you agree with little Book Owlie about the amount of reading to be done, you will find him at Book Owlie's Zazzle and Cafepress pages. When I painted this particular Book Owlie, my Husband commented I had made a self-portrait... Cannot say he was wrong, really. My Egyptology studies required long well researched essays, and our shared study was (and is) covered in books and notes. If your essay requires a thesis statement, do it carefully. 90% work is done at this point, but a good conclusion is necessary! Don't just submit your essay after writing it. Let it rest and do some editing and proofreading. A short overview of different types of essay. 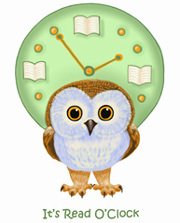 The paintings of little Book Owlie on Essay Writing Tips -page are copyrighted by the author. Do not copy. Little Book Owlie loves books. You will find him at his Zazzle and Cafepress pages.